Picking the perfect present for a person who has it all used to be a pretty impossible task – and even where there’s a whole high street of goods, discovering anything that truly means something, could also be a tricky challenge. 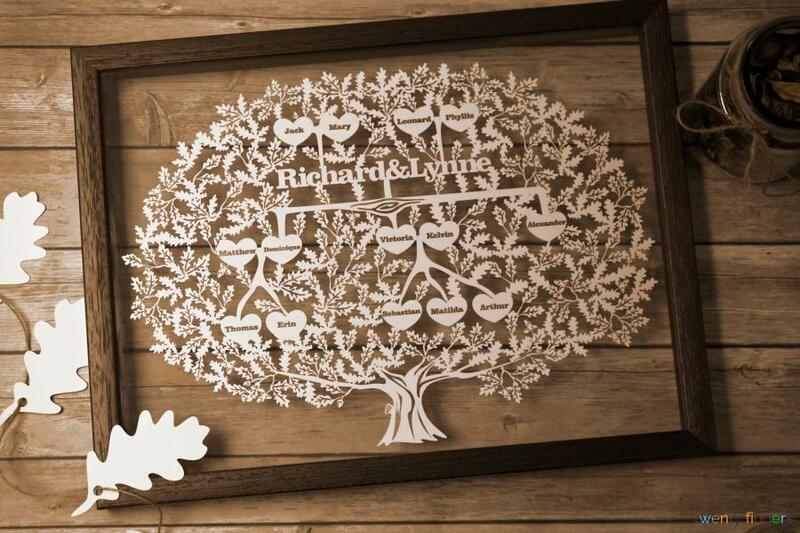 Whoever you’re buying for – we’ll carefully craft and create a keepsake that’s truly special. 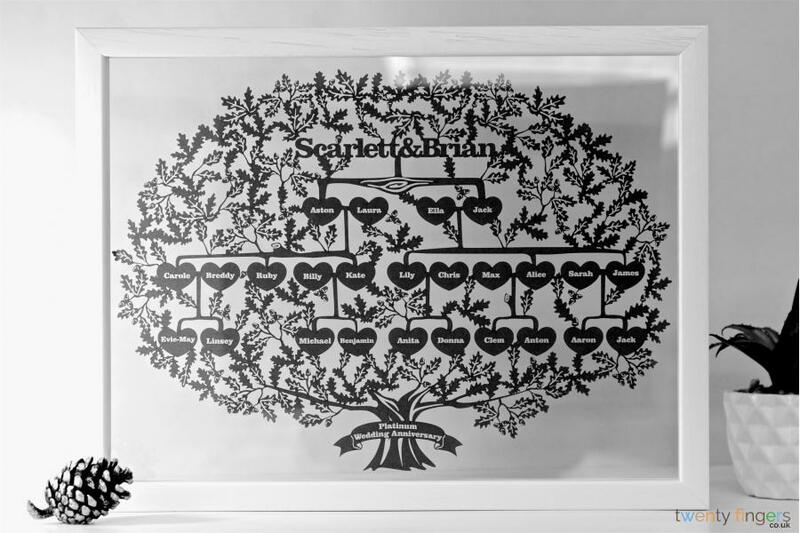 Our Genealogy Trees are created from high quality card, which is then placed in-between two pieces of glass and encased within a high quality wooden frame. 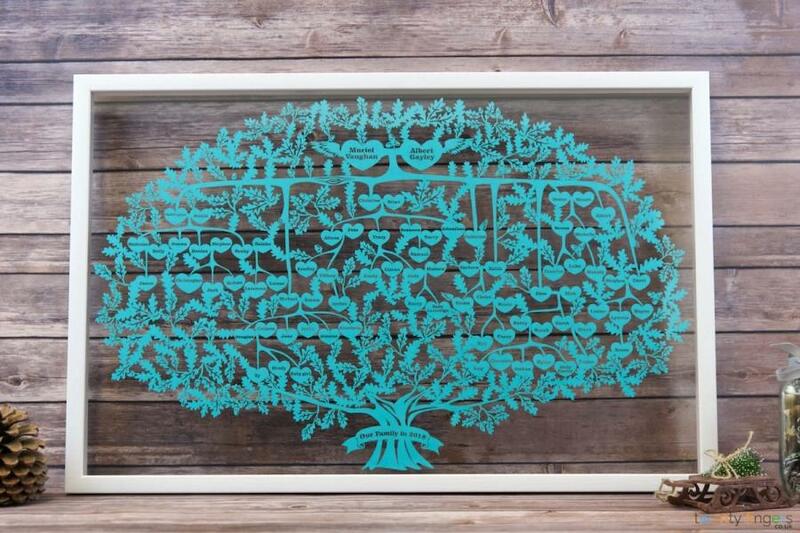 Make it completely personal and unique to the gift receiver by choosing the card colour, frame wood type and glass type. 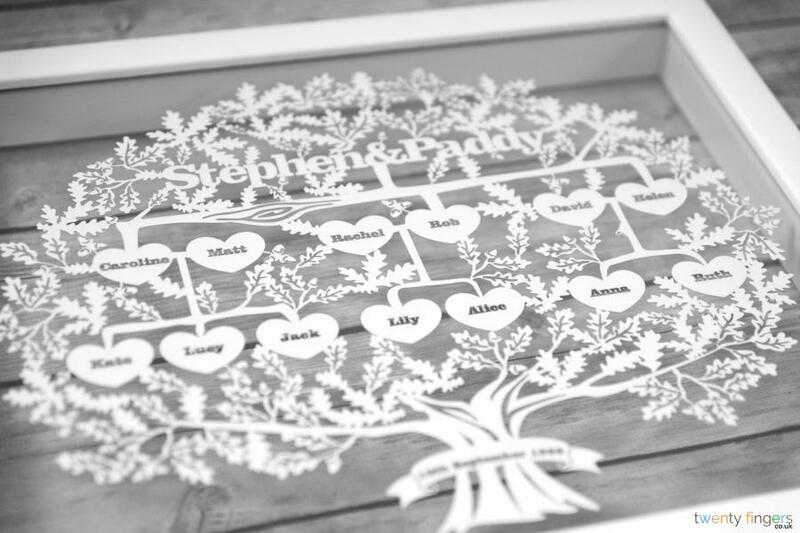 First, we’ll need the names of who you’d like us to include – don’t forget to list the relationship connections between them, as we’ll need this to design the tree. 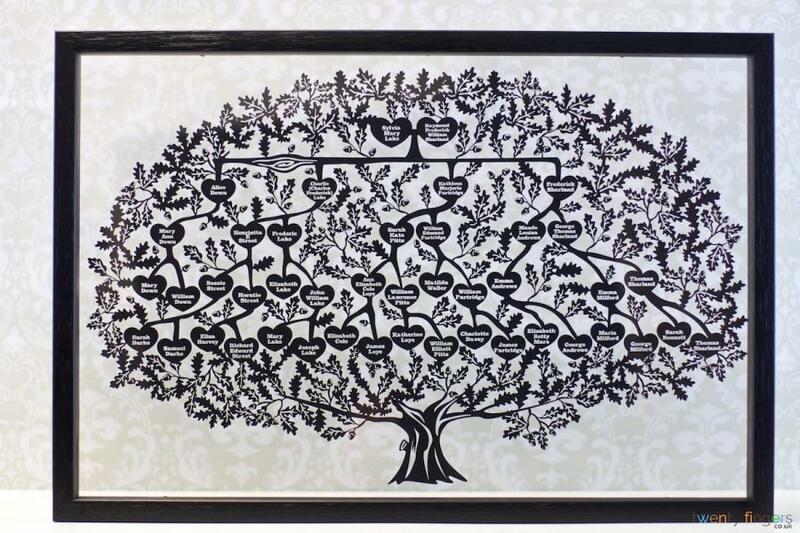 You can upload a sketch, if you find that easier than listing your family tree by text alone, or simply use the text box; just as long as we have all of the names and a clear understanding of the relationships to display we can then get to work. Then we’ll whizz through a proof within 2 to 5 days (how long this will be, will depend on the size of the tree). 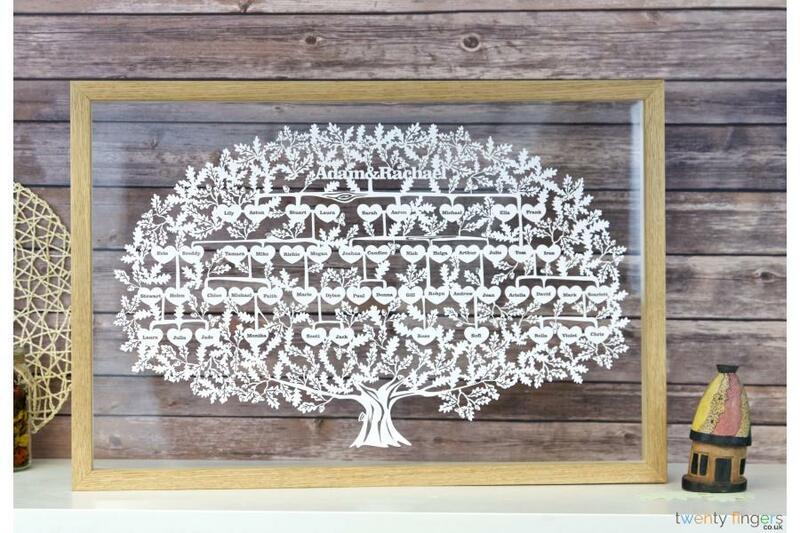 Finally, when you’re ecstatically happy, we’ll cut, create and frame – completing our service with FREE gift wrapping and delivery as according to your chosen delivery method. 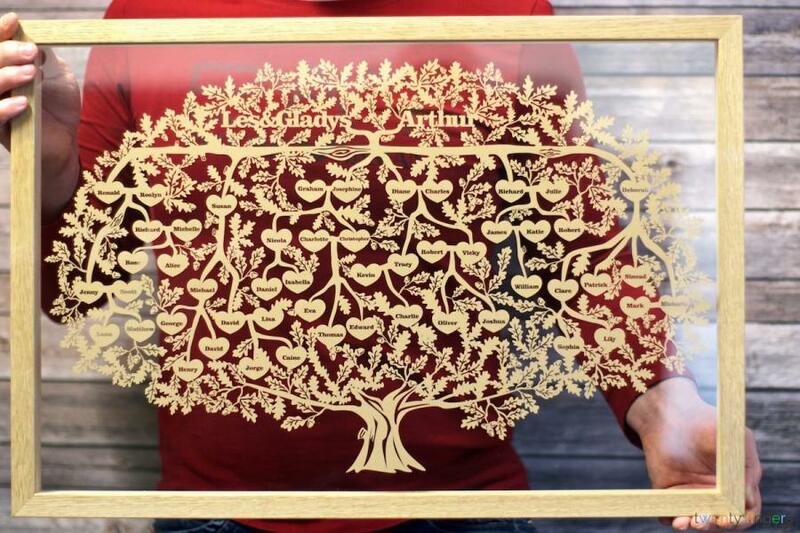 Can I order an unframed Genealogy Tree? Yes! No problem whatsoever – tailor made should be our middle name, but then Twenty Tailor Made Fingers isn’t quite so catchy. 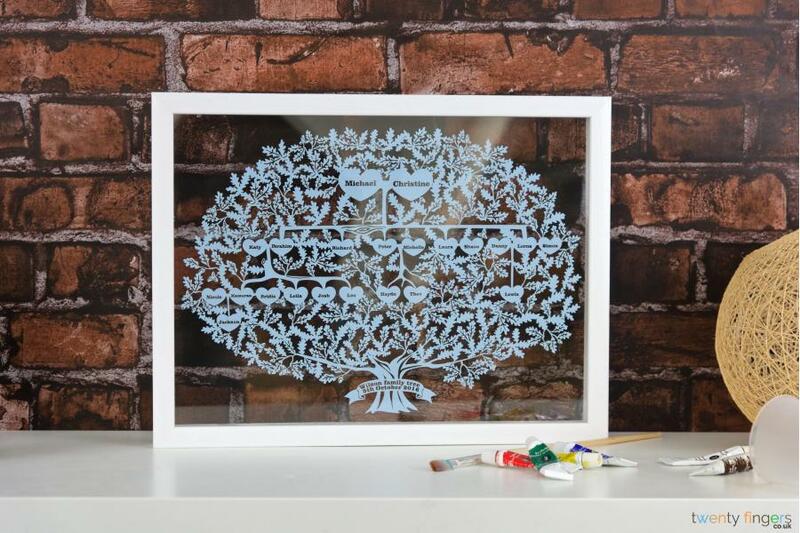 If you’d like to choose this option, just get in touch – this will then be an order of just the cut-out (with no glass or wooden frame). How many names can you include? 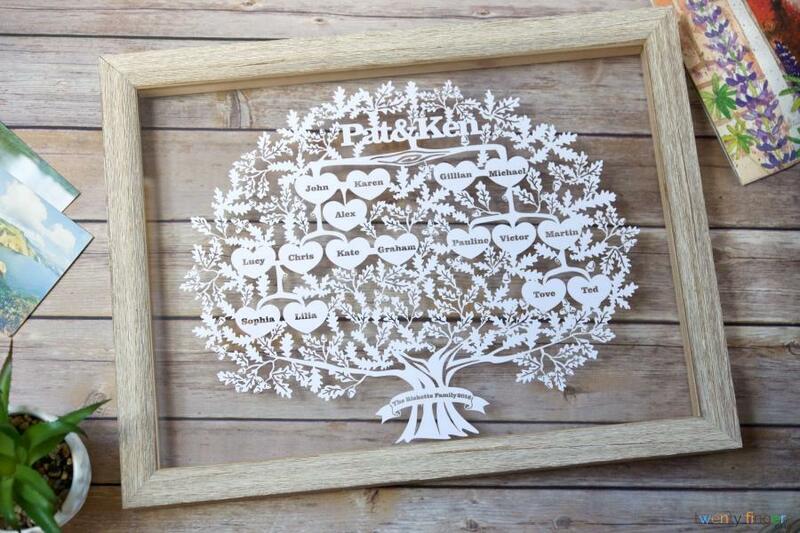 We can include as many as fifty names on this tree (we know impressive, right? 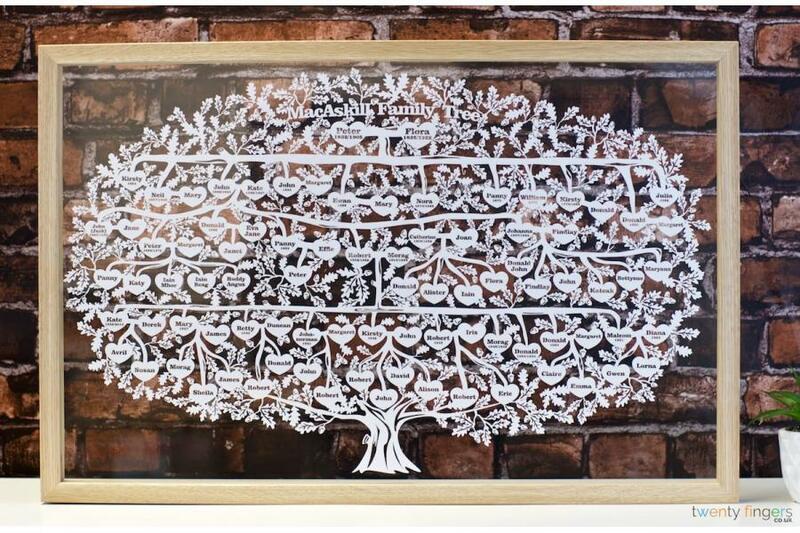 ); or anything up to 150 names if you order our Large Family Genealogy Tree, which is wider and features a thicker frame. I had been trying to find something like this for ages and was having no luck with the usual websites so I was delighted when this company appeared on my newsfeed on Facebook. With only 20 minutes left to get the order in for guaranteed delivery before Christmas there was no time to waste and sure enough the parcel was at my door in plenty of time! 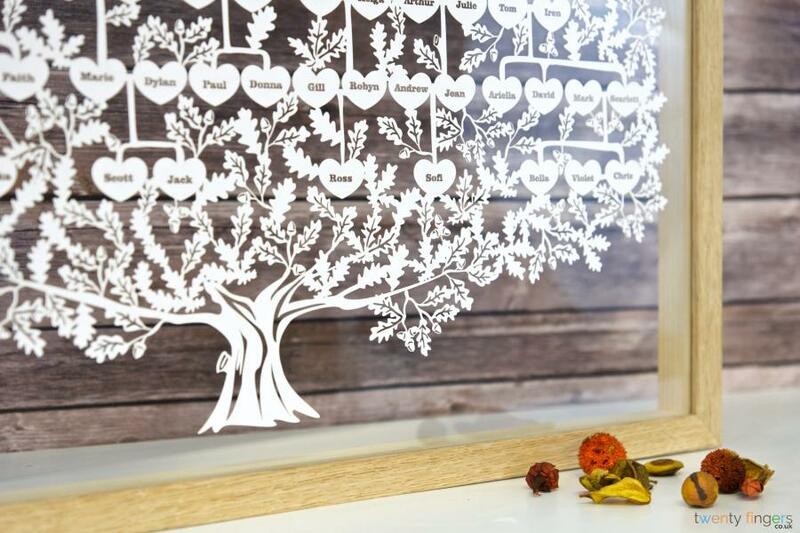 Great service and couldn't be more pleased with the Family tree. My wife absolutely loves it! Top quality pieces of work every time! They go the extra mile too, I wanted my dog to be sitting under the family tree, she however is a crossbreed. After a quick email, they made a personalised dog from a picture! My mam couldn't believe it when she opened her present, instantly could tell it was her! 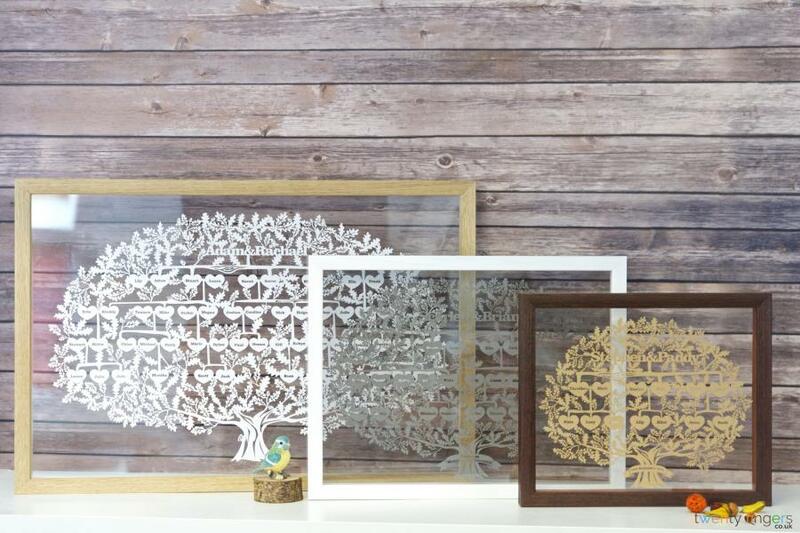 Already bought two frames, will definitely buy more!